Shares of multiplex chain PVR hit a new high of Rs 1,686, up 3 per cent, on the BSE on the expectation of healthy earnings growth in the March quarter. The stock has outperformed the market by gaining 17 per cent in the past one month, as compared to a 7 per cent rise in the S&P BSE Sensex. PVR had reported 79 per cent year-on-year (YoY) jump in consolidated net profit at Rs 52 crore for the quarter ended December 31, 2018 (Q3FY19), on back of healthy revenue. The company’s consolidated revenue grew 53 per cent at Rs 857 crore on YoY basis. Ebitda margins for the quarter increased by 210 basis points from 18.7 per cent during the corresponding period last year to 20.8 per cent during the current period. Analysts at Elara Capital have ‘accumulate’ rating on the stock with a target price of Rs 1,825 as the brokerage firm expects footfall growth momentum to remain strong in Q4FY19 led by a healthy content pipeline supported by big-budget Hindi movie releases. Advertising growth momentum will only be led by pricing in key markets as inventory is capped out; SPI integration can be an added trigger for improving advertisement growth in the South due to cross-selling and upselling opportunities. Further, the integration of SPI will also lead to better profitability in the medium term due to higher occupancy rates down South, the brokerage firm said in company update. Motilal Oswal Securities have ‘buy’ rating on the stock with a target price of Rs 1,850 on the expectation of strong revenue growth on the back of SPI Cinemas consolidation, an average of 85 screen additions and healthy content pipeline driving footfalls. “The content pipeline looks good for 4QFY19. Advertisement revenues will also see a pick-up in 4QFY19 going by the management’s guidance of 15 per cent for FY19. 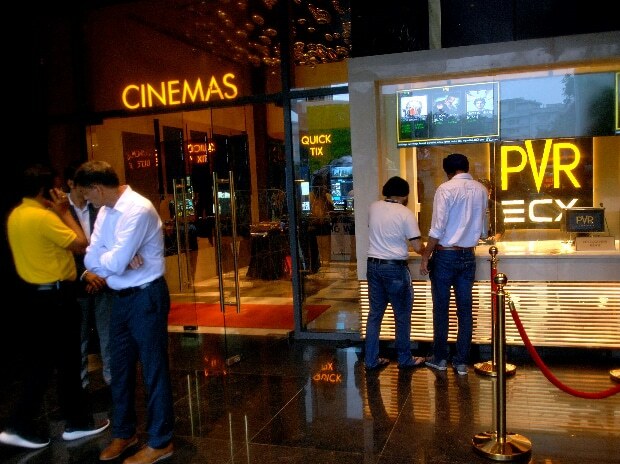 With a reduction in GST on tickets and a decrease in gross ATP, PVR is looking for volume-driven growth in 4QFY19. Rapid expansion is also scheduled for the quarter – 30-35 screens” analyst at Nirmal Bang Equities in result update. The brokerage firm has ‘buy’ rating on the stock with a target price of Rs 1,796.